Vincent and Theo: The Van Gogh Brothers (MP3 CD) | Let's Play Books! The deep and enduring friendship between Vincent and Theo Van Gogh defined both brothers' lives. As a confidant, champion, sympathizer, and friend, Theo financially and emotionally supported his older brother as the artistic but troubled Vincent struggled to find his path in life as both a painter and a man. Throughout that struggle, the brothers shared everything - swapping stories of lovers and friends, successes and disappointments, dreams and ambitions. 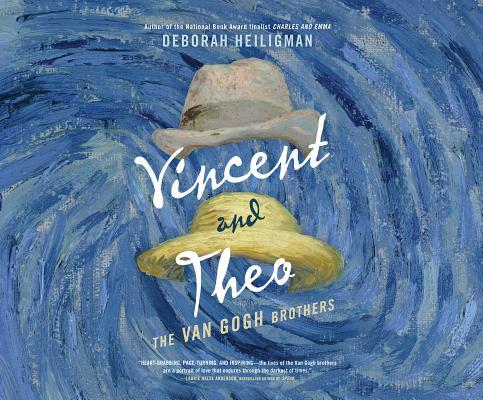 Drawing on the 658 letters Vincent wrote to Theo during his lifetime, Deborah Heiligman weaves a meticulously researched tale of those two intertwined lives and the extraordinary love that fueled them.